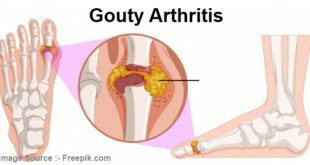 Home / Arthritis Symptoms - Symptoms of Arthritis / Types of Arthritis-Your Arthritis May Not Be My Arthritis! Your arthritis and my arthritis may not be one and the same thing. I might have acquired it as my body grew old. Embroiled in my hectic life, I could have overlooked the ever-changing health needs of my skeletal system. Though it is not congenial and does not raise fangs without a prior warning. Rheumatoid arthritis is an autoimmune disorder that unleashes self-destruction of the joint function. Many joints fall prey to this condition and a patient experiences restricted movements. Severe pain and joint puffiness, which are hyper-exaggerated upon waking up. Sexually transmitted diseases like syphilis and other penetrative infections may affect the skeletal system. Causing joint immobility, swelling of tissues around the joints and morning sickness. On waking up, a patient bears the major brunt of the infectious arthritis. As joints seem almost locked and overwhelmed with stinging pain. A timely medical intervention to know the origin of infection and its alleviation. With strong antibiotics musters up a reasonable hope for speedy recovery. It is an aggravated bone ailment, where the lack of bone care and long-term. Strenuous physical activity erode off the protective cartilage layer that acts as a cushion between joints. Curbing the amount of friction during movements. This ailment occurs when small, crispy, solid masses of urate invade the area between the joints. It is less severe form of arthritis and can be uprooted from deep within with target-oriented medicines. Someone else may be facing arthritis of a congenital kind, the seeds for which were embedded in their genes at the time of birth. This is called as such, because it pounces on young children and adolescents. The child often complains of a sense of discomfort while playing sports. He/she may point towards vague joint tenderness. This condition often goes undiagnosed. As doctors do not suspect development of arthritis at such an early age. In exceptional cases, the areas between the joints may begin to bleed. Resulting in puffiness and tenderness around the joints. Rarest of rare aliments such as sickle cell anemia and hemophilia may give rise to this bone disorder.